M5 owners can upgrade their super-sedans to as much as 700 horsepower thanks to these latest mods from Switzer. Best known for its 1,000-hp Nissan GT-R, Ohio-based tuning house Switzer Performance has revealed its latest aftermarket program dubbed for the BMW M5 sedan. 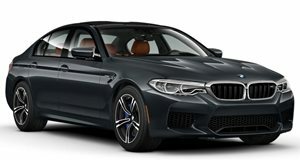 By combining its new high-performance stainless-steel exhaust system with high-flow drop-in air filters and a removable engine control module, the P700 package ups the output of the M5’s 4.4-liter twin-turbo V8 from 560 hp and 500 lb-ft of torque to almost 700 hp and 640 lb-ft.
Just as the 1,000hp program for the GT-R started out as a 600hp package, in time the P700 M5 could evolve into something a lot more powerful. Available now through authorized dealers or direct from the company, the P700 package is priced at $6,995. Switzer also announced that new Signature alloys and carbon-nano brake pads for the 2013 BMW M5 are currently in the works and will be available in the summer. Which will be a good thing if you aim to keep all that power in check.